One of the most underrated and overlooked part of the golf game is Course Management. To keep a consistent winning strategy means to know your strengths and weaknesses and from that play the correct shot at the right time for your game. 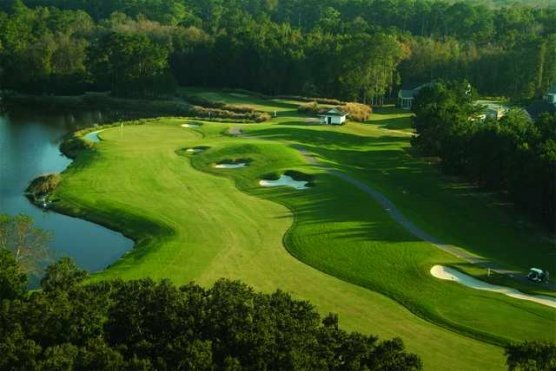 Here are 5 tips to help you with course management while you are playing some of the awesome Myrtle Beach golf courses during your golf getaway. When looking at the green, be sure to take not of where the flag is located on the green. Note whether there are any irregularities on the green and where they are in relation to the pin. If you will be playing at the same courses during your Myrtle Beach golf package, take the time to study the greens for future rounds. Pay attention to flag locations and determine if you need to adjust any of your shots due to the wind. Uphill putts are usually easier than downhill due to the fact that most golfers tend to decelerate through the ball thinking it will finish past the hole. Not only should you have a plan in place for each and every shot for the entire 18 holes of the Myrtle Beach golf course, your game strategy should be based on the entire Myrtle Beach golf course map. Familiarize yourself with basic golf course architecture as well, to gain a better understanding of course layouts that you will play during your Myrtle Beach golf package. Some golfers carry as many as 14+ clubs in their bag for their Myrtle Beach golf package. On some holes, a driver might not be the best choice for club selection. Instead you may want to use your 2 or 3 wood with better control. Don’t think about just your tee shot, but the shot that you will have into the green as well. A standard bag has 8 irons (3-iron through 9-iron and pitching wedge – some have up to 3 different lofted wedges), 2-3 woods (driver, 3-wood and possibly a 5-wood), and 1 putter. Increasing in popularity are Hybrid golf clubs as they are a 2-in-1-style club, and can be used in place of various woods and irons, perhaps with more accuracy and control. When hitting a shot, try managing your trajectory where needed. If there’s a pond, bunker or stream, play with the next shot in mind so your ball is in a safer position, even if it means laying up or hitting a longer iron on your next shot. Not always thinking of just the tee shot can often put you in a better position getting on the green. A few tips and your next Myrtle Beach golf package could be even more enjoyable and perhaps more bets between buddies that pay off!